The new Hyundai Kona is an impressive compact SUV. There is a lot to like about the all-new Hyundai Kona which will cost from £60,195 OTR and has just gone on sale. Not only is there a long equipment list, it is also packed with safety technology and a decent personalisation list among the options. 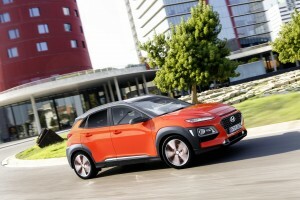 The stylish new addition to the high Hyundai line-up is an excellent compact SUV. 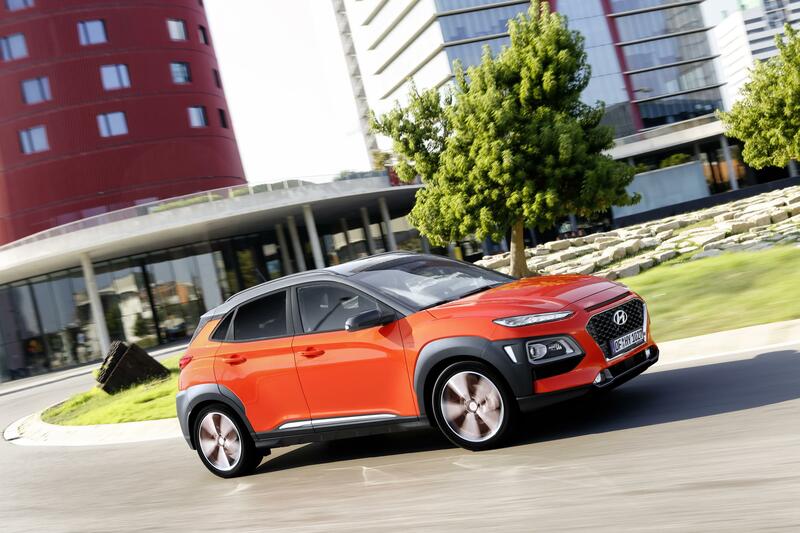 The engines for the Hyundai Kona feature an all turbocharged line-up including a 1.6 litre T-GDI unit producing 177 PS and which, on the premium GT models, is coupled to a seven speed DCT automatic transmission and four-wheel-drive. There’s also a 1.0 litre petrol TGDI unit which is coupled to a six speed manual gearbox and produces 120 PS in the entry-level model. Emissions for the Kona range from 117g/km to 153g/km with economy of 47 mpg for the petrol engine and 56 mpg for the larger engine. 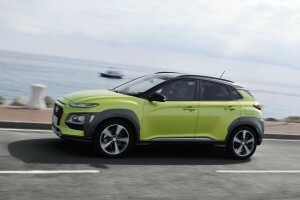 There is a lot of equipment for the Hyundai Kona for the money which includes driver attention alert, hill start assist, lane keeping assist and downhill brake control fitted as standard on every model. The Kona SE features rear cross traffic alert and blindspot detection with the Premium GT having autonomous emergency braking. Every model also features Bluetooth connectivity and DAB radio. The entry level model, the 1.0 litre Kona T-GDI has an impressive specification including 16 inch alloy wheels as well as body coloured door handles and bumpers while other models come with air conditioning, cruise control and heated door mirrors. The entry-level model also features cruise control and speed limiter and there is a 5 inch infotainment display and a six speaker sound system. Other models feature 17 inch alloy wheels, rear parking sensors with rear camera and a larger touchscreen with the premium offering having climate control, automatic windscreen wipers as well as privacy glass. There’s also a Krell top end premium audio system which features eight speakers in the top model. The factory options for the impressive Hyundai Kona include a sunroof, a two tone roof, metallic paint and autonomous emergency braking. This entry was posted in Crossover Cars, New Cars and tagged Hyundai Kona by Steve Lumley. Bookmark the permalink.